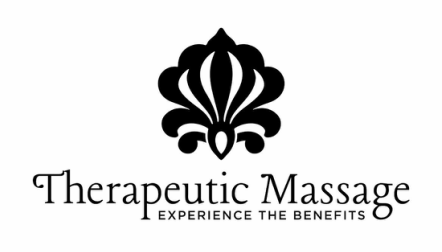 Therapeutic Massage Treatments Page - Massage Therapy in Stockbridge MA and Chatham NY. Therapeutic Massage provides individualized, focused, quality care to meet your unique needs and achieve your health plan. Your goals for your massage session (i.e., pain relief, relaxation, etc.) will dictate the type(s) of bodywork used. The overall treatment plan is designed to change along with you, your health goals, your job, your activity level and your lifestyle. Unique consideration is given to all of these areas for each patient. A safe, professional environment is maintained for your comfort and peace of mind. Swedish massage techniques rejuvenate both body and mind. A combination of kneading, rolling, vibrational, percussive, and tapping movements, are used with the application of oil, to reduce friction on the skin. The many benefits of Swedish Massage may include generalized relaxation, dissolution of scar tissue adhesion and improved circulation, which may speed healing and reduce swelling from injury. Aroma Therapy is the use of essential oils to promote healing, and a feeling of well-being, and relaxation in the recipient. The essential oils are extracted from plants and contain all the properties of the plants themselves. The effects of an Aromatherapy massage can last up to 48 hours, depending on the oils used. Neuromuscular therapy is soft-tissue manipulation often used to: locate and release spasms and hypercontraction in the tissue, eliminate trigger points that cause referred pain, rebuild the strength of injured tissues, assist venous and lymphatic flow, restore postural alignment and proper biomechanics and flexibility to the tissues. These techniques consist of sustained pressure and movement into the fascial system in order to eliminate fascial (connective tissue) restrictions. Restrictions are located through an effective therapeutic approach for many issues including: cervical pain, back pain, scoliosis, restriction of motion, chronic pain, and headaches. Sports Massage focuses on the muscles relevant to the event. For the athletes who train continuously, the goal is to enhance endurance, lessen the chance of injury and shorten the time needed to recover from an event. Sports Massage may utilize a variety of techniques such as classical Swedish Massage, trigger point therapy, and hydrotherapy. Prior to an athletic event Sports Massage may be used with stretching in order to help athletes to loosen, warm and prepare their muscles so that their performance, and endurance, might be enhanced. Following an athletic event Sports Massage may be used to relieve pain, prevent stiffness, and return the muscles back to their normal state,. Sports Massage may also be used for injury rehabilitation. Craniosacral Therapy is a gentle noninvasive method of evaluating, and enhancing, the function of a physiological body arrangement called the craniosacral system. The craniosacral therapist uses a light touch to assist the natural movement of fluid within the craniosacral system. It assists with many issues including: chronic pain, eye difficulties, scoliosis, motor-coordination impairments, learning disabilities, and other dysfunctions of the central nervous system. Many methods of massage are both effective, and safe prenatally. Specific techniques can reduce pregnancy discomforts, and concerns, and enhance the physiological and emotional well-being of both mother and fetus. Your therapist will exercise all precautions and be aware of all contraindications during your massage. Check with your physicians prior to scheduling a massage therapy appointment. A chair massage session can take place at your office, or be scheduled for a special event. Therapeutic Massage provides in a portable, ergonomic chair. Your therapist will focus on the neck, shoulder, back, arms, and hands. Each session is done fully clothed with no oil, The benefits of Chair Massage include: the reduction of stress, anxiety, tension and fatigue, the relief of muscle soreness. and increased flexibility, and range of motion. It also boosts the immune system and is used for the treatment of repetitive stress symptoms.